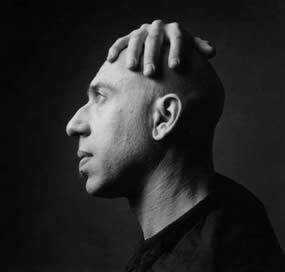 Known as “Brooklyn’s leading avant-garde venue,” (Wall Street Journal) ISSUE Project Room presents a spectacular music- and star-filled evening on Friday, March 4th, honoring the 60th birthday of the prolific composer, innovator, and guitar virtuoso Elliott Sharp. Bookended by a cocktail reception and after-party, the concert premieres two new works by Sharp including: Trinity for Golden Globe® Award-Winning actor Steve Buscemi (ISSUE board member) and film/dance/light artist Jo Andres; and Occam’s Razor for double quartet performed by post-classical music avatars JACK Quartet and Sirius Quartet. This marks the first benefit event to be held at ISSUE’s future location at 110 Livingston in Downtown Brooklyn, a beautiful 1925 McKim, Mead, and White theater space to which ISSUE was awarded a 20-year rent-free lease. In 2009, ISSUE was awarded a $1.133 million grant from the Brooklyn Borough President towards the estimated $2.5 million necessary. ISSUE has been working with WORK Architecture Company and ARUP to develop the design concept for the space. March 4 Benefit attendees will enjoy the first public preview of the new designs for the space. Sharp leads the projects Carbon, Orchestra Carbon, Tectonics and Terraplane, and has pioneered ways of applying fractal geometry, chaos theory, and genetic metaphors to musical composition. His collaborators have included Ensemble Modern; Qawwali singer Nusrat Fateh Ali Khan; Radio-Symphony of Frankfurt; Debbie Harry, Perry Hoberman; blues legends Hubert Sumlin and Pops Staples; jazz greats Jack Dejohnette, Sonny Sharrock, Oliver Lake, and Billy Hart; turntable innovator Christian Marclay; and Bachir Attar of the Master Musicians Of Jahjouka, Morocco. Sharp’s work was featured in the New Music Stockholm festival (2008), at the Hessischer Rundfunk Klangbiennale (2007) and the Venice Biennale (2003, 2007). ISSUE Project Room, a registered 501(c)(3) organization, was established in 2003 by visionary artist Suzanne Fiol, and is a vibrant nexus for cutting-edge, multi-disciplinary arts in Brooklyn. ISSUE supports emerging and established experimental artists through more than 200 programs each year including music concerts, literary readings, films, videos, dance, visual and sound art, new media, critical theory lectures and discussions, site-specific work, commissions, educational workshops, master classes, and genre-defying interdisciplinary performances that challenge and expand conventional practices in art. Support for ISSUE has been provided by CHORA, a project of the Metabolic Studio, a direct charitable activity of the Annenberg Foundation led by Artist and Foundation Director Lauren Bon. CHORA aims to support the intangibles that precede creativity.